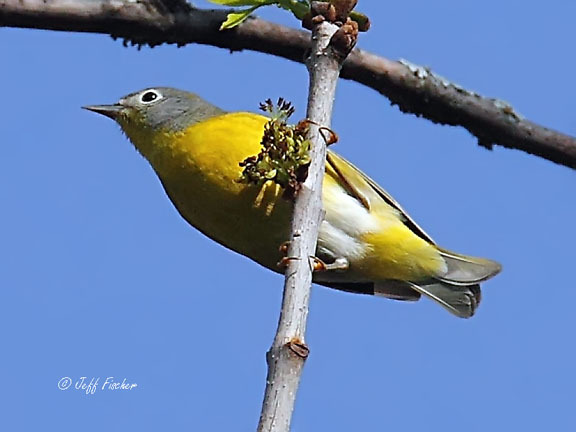 The Nashville warbler is a poorly named new world warbler. Rarely are these birds found near Nashville. They breed primarily in eastern Canada, the northeastern U. S. and northern Great Lakes. They winter in Mexico and northern Central America. In the spring and fall they migrate across the central United States on their way between breeding and wintering grounds. 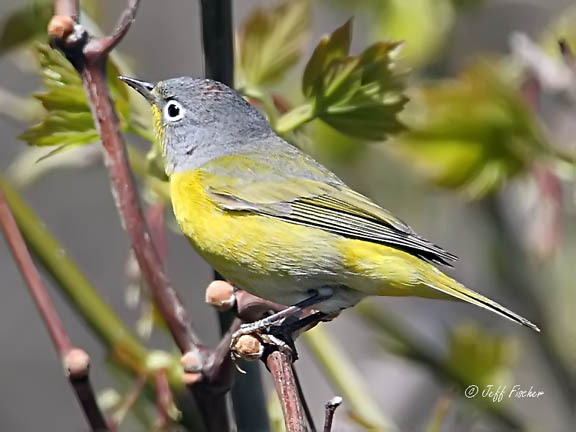 In 1811 Alexander Wilson observed one of these birds near Nashville during migration and subsequently named it the Nashville warbler. There is separate population of Nashville warblers that breed along the west coast. These birds were once considered a different species called the Calaveras warbler. Even though they look a little different and the western population will wag heir tail while the eastern population do not, the Calaveras is now considered a subspecies of the Nashville. Gorgeous Warbler with very bright whote eye ring. Both this selection and the one below are so PRETTY! 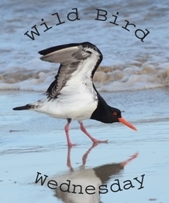 A good choice for this weeks challenging letter.... another wonderful bird! Doesn't look like a country singer anyway!